We’re stepping into “The Office” of Dunder Mifflin to see how some of the show’s notable fails could’ve been prevented or helped with just-in-time (JIT) training — which allows sales reps to access the exactly the info they need, when they need it (so they won’t need to apologize later). What makes “The Office” so funny and relatable is the extreme spin on common work bloopers and in-office situations. When employees, especially salespeople, aren’t properly onboarded or trained, they could end up hurting your company by wasting the dollars spent bringing qualified leads and customers in when they fumble the sale. Here are a few of our favorite situations in which Dunder Mifflin employees could’ve really, really used JIT training. 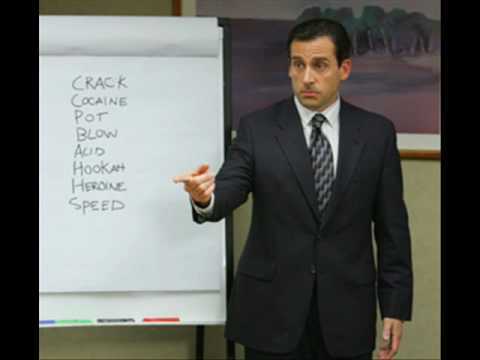 Michael failing to give a meaningful presentation. Dunder Mifflin’s Scranton branch manager Michael Scott is known to hold irrelevant and even offensive meetings for his team, often including crude references (“That’s what she said”) and ineffective strategies. Regardless of managerial status, Michael could’ve definitely used some proper training to help him prepare his main points effectively with a resource library of easily accessible information on new products—someone should’ve shared some leadership courses with Michael, too. The Office - Dwight and Jim's imaginary sales call from Orion on Vimeo. Kevin Malone’s struggle to answer calls and perform basic administrative tasks after Charles temporarily moves him to replace Pam could have been prevented if a) Charles was aware of Kevin’s incompetency to handle social tasks like answering phones and b) if Kevin had a way to quickly look up phone policies, standard office greetings and best practices. Playing to your employees’ strengths is an obvious way to ensure quality work from your team, but knowing their weaknesses and identifying gaps is equally important to finding where training can help. And JIT training not only lets employees search directions for specific tasks in the moment, but also take control of their development with self-directed learning. Sorry Kevin, back to your cube. JIT training is just one component of a successful e-learning program. When combined with other training best practices, your new hires will be well-prepared to seal more deals. Have any office mishaps JIT training would’ve prevented? Please share them in the comments.